Jordan earned his bachelor’s degree in business administration from Georgetown College and an MBA in finance from Xavier University. He holds the CERTIFIED FINANCIAL PLANNER™ designation. 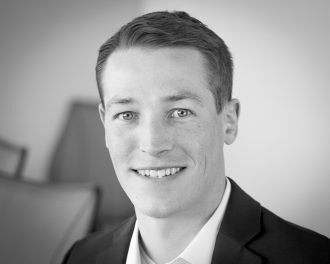 Prior to joining Truepoint, Jordan was a paraplanner at Ameriprise Financial. When not at work, Jordan enjoys spending time outdoors, reading and traveling. He also spends time volunteering at Crossroads Church and City Gospel Mission. Jordan and his wife, both originally from Kentucky, now live in Oakley.